I usually don’t decorate much for Fall but it’s been such a long hot summer that I just got the itch to get more into the season this year and least ‘pretend’ the air outside is crisp even though it might still be 85 degrees ;) Gosh darn San Diego seasons. I mean, 90% of the time I love it…..but when Fall rolls around I just don’t want to sweat anymore, you know? Anyway, I’m that classic San Diegan complaining about the weather now so I’ll stop and just talk about my mantle. I shared this little set up in my instagram stories the other day and got so many questions that I thought I’d just share here too with more images. If you’ve followed me for a bit you know I’m a neutral girl when it comes to decor. Bright orange and black just don’t do it for me, so I always have to get creative when it comes to Halloween decor. Usually it’s nothing at all (which is so lame) or all white pumpkins…which is also a little boring if there’s nothing else to it. So this is about as colorful as it gets for me, but I really love how it all turned out. It’s about time I shared a little peek into Quincy’s nursery. A few things have been changed since these photos were taken (can you believe she is almost 4 months old!? ), but the overall vibe still remains the same. I wanted to create a really calming space, full of light and natural elements. My favorite piece in the whole nursery is definitely that rocking chair! It was the very first thing I pinned to my inspiration board when I started planning Q’s nursery and basically the whole design revolved around it! It’s not only beautiful but it’s comfortable as well! I have a feeling I am going to be passing that thing down through the generations ;) It’s from a shop called Rove Concepts which has all kinds of amazing Scandinavian and mid-century style home decor and furniture. 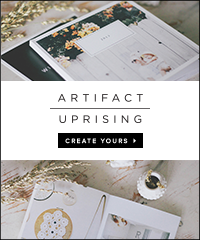 Seriously, such a great site to shop if you are looking to update or redesign a room! (I also have this TV console and this ladder, and I’m obsessed with them both). Another piece I absolutely love is her crib from Kalon Studios. It’s made of this beautiful light maple wood and it can convert to a platform-style toddler bed that can also be used as seating well beyond the nursery years. This is another piece I see myself using for years and years to come! I linked below some more of the elements from the room if you are curious! Well, this is coming awfully late and most of our collection is already sold through (what!!??) but I HAD to still share these campaign photos here for Rylee & Cru FW16 collection that launched last Wednesday. Shot by my insanely talented friend Jackie Wonders. When I chatted with Jackie about my vision for the shoot, we were both stumped on location. The collection is titled “The Woodlands” and the theme is centered around woodland animals, so obviously, a forest seemed fitting. But finding a forest in San Diego is just not in the cards. Luckily, we found the next best thing at a hidden trail in Del Mar of all places. I’m so thrilled with the outcome. Jackie always has a way of taking my vision and bringing it to life, not matter what the circumstances or curve balls that are thrown at us. Being flexible and rolling with the punches is a necessity when it comes to shooting with children, and no one does it better than her. Possibly my favorite campaign photos to date. You can still shop the collection on our website (although it is quite picked over) or through any of our amazing retailers – stockist’s listed here. Do some digging and you may be able to find the pieces you are looking for! This job is a dream and while it might be hard and demanding at times, I wouldn’t change it for a thing. OH, and did I mention we just bought a new warehouse / studio space!!?? Big things happening guys. More on that later! We launched the new Spring/Summer 2015 Rylee & Cru collection titled ‘Out West’ a couple weeks ago. I couldn’t have imagined a better response. The support of this brand continues to blow my mind and I feel so blessed to be able to do this for a job. It’s been a ton of work and sometimes I get caught up in the stress of it all….but more than that, it’s teaching me to dream big and to believe in my talent. These photos are from our lookbook shoot in Palm Springs with Jackie Wonders last month. She is pure magic and always captures exactly what I envision. I also had the chance to collaborate with my favorite local shoe brand, Zuzii, on a capsule collection for Rylee & Cru. There are 6 styles that I designed, 3 sandals and 3 oxfords, all of which coordinate with our collection. You can shop the Zuzii X Rylee + Cru collection exclusively at zuzii.com ! Last week I did a little Q&A over on Cleobella’s blog as part of their ‘Bella Beauty Tribe’ feature. I was so honored to be included. I have been following along with Cleobella’s journey for years now, and it has been so inspiring to watch the brand explode and to see the collection expand to what it is today. As a small business owner myself, I always get so excited when I see good people making their dreams come true. I had the chance to spend some time with Angela (the founder) and her baby girl Indi when they came down for the day…and she is as sweet and genuine as they come. A true bella. You can read my whole interview here. It’s a lot of my story, my passions and how I ended up doing what I do for a living.